Hello Everyone! For this week of breakfast/brunch month, I have some simple brekky smoothies for you that you can easily prepare the night before, whizz it in the blender in the morning, and voilà; you’ve got a quick brekky that you can take with you to go if you really need to. I’ve never really been the type to make my own smoothies at home, not until my second year of uni back in 2012 when my flatmate at that time started making smoothies for the both of us on the weekends. She would always make the same banana and blueberry smoothie with full cream milk, old-fashioned rolled oats, and vanilla yoghurt. 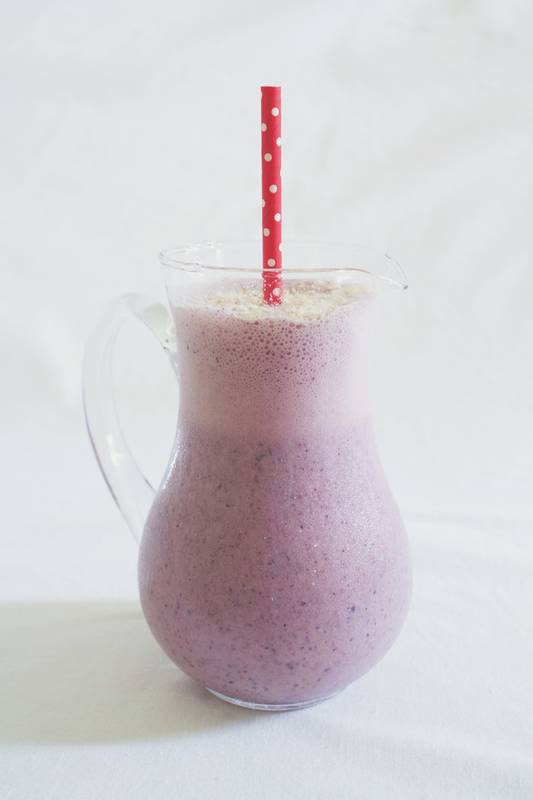 Ever since then, I would whip up this easy smoothie whenever I felt like it even after we went our separate ways. I’ve also made a strawberry smoothie with the same ingredients, just taking out the bananas and blueberries, and added mint into the mix; it was a really good smoothie too. Anyway, I won’t be sharing those two recipes with you this week as I’ve got two completely different (maybe in some way a little bit similar) smoothies for today and Thursday. 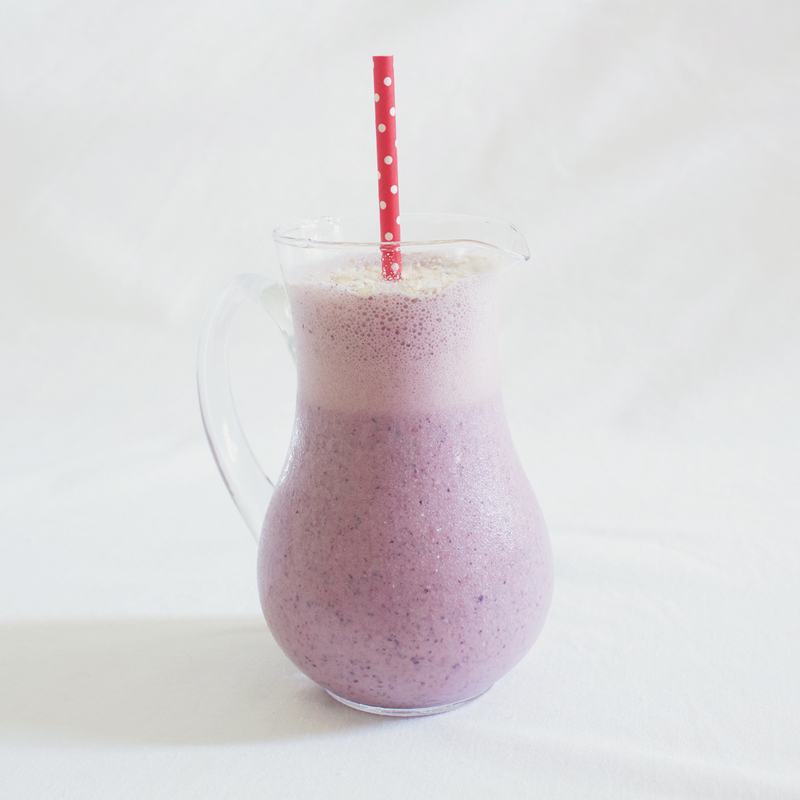 I decided try new smoothie recipes and for today’s post, I came across a recipe for a Blueberry and Oat Smoothie; now I know this is sounding a little similar to the smoothie that I mentioned above, and that I’m used to making, but what makes this different is the touch of ginger added. I don’t think I’ve had a smoothie with ginger in it before so I thought that I’d give this recipe a try; original recipe can be found over at Real Simple. All I’ve really done was change the quantities to serve 3-4 tall glasses, as well as reducing the amount of sugar. Add the oats and water to a blender and leave to soak until the oats have softened, about 15 minutes. 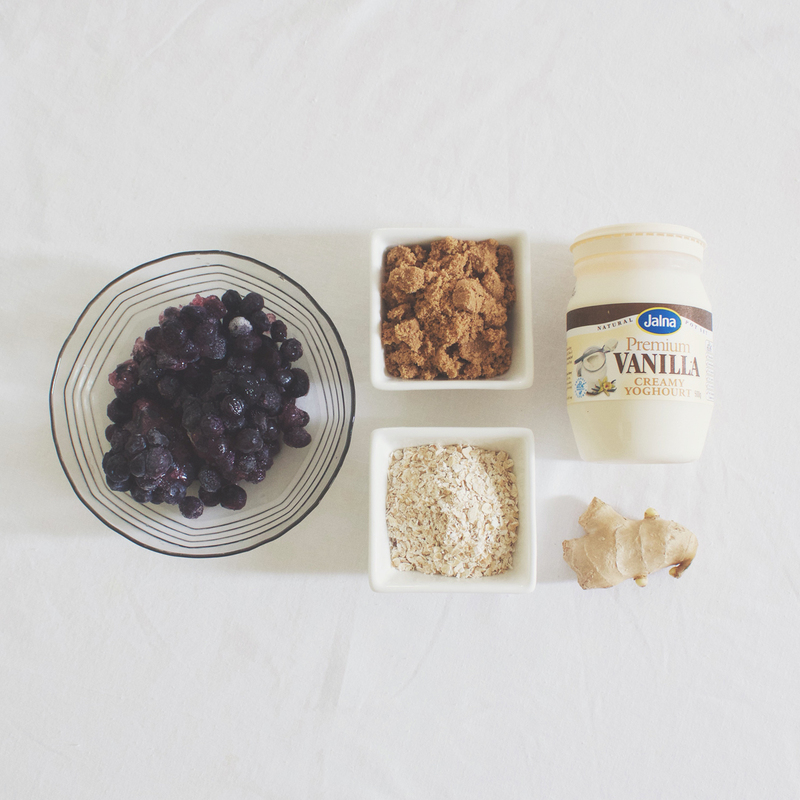 Add the ice, blueberries, yoghurt, brown sugar, and ginger to the blender. Blend until smooth and frothy, about 2-3 minutes. I’ve read a few of the comments on the site where the original recipe was uploaded, and some said that the oats had a weird texture and made the smoothie grainy and starchy. Some didn’t like the addition of the ginger and made their stomachs upset. So I guess this smoothie is not for everyone, but if you think you’d enjoy all these flavour into one drink, then go ahead and give it a try because it’s definitely delicious! I personally thought that the oats were fine and still gave the smoothie a nice flavour and texture to it; I feel that without it, the smoothie would be quite loose. The ginger, though quite a strong flavour, paired well with the sweet blueberries and helped cut down the sweetness of the smoothie from the added sugar.